A few days ago we sat around slack-jawed after re-reporting that Henry Blodget, founder of tech blog Silicon Alley Insider and a former Wall Street tech analyst who was almost single-handedly responsible for the dotcom bubble, admitted that until this week he had never been inside an Apple store. We particularly enjoyed Henry Blodget’s excruciating explanation of how an Apple store works and Henry Blodget’s notion that the whole world wants to know every little detail about how Henry Blodget purchased Henry Blodget’s iPhone. Today Henry Blodget follows up with an insidery update about Henry Blodget’s experience after using iPhone for four days. Guess what? The insider information is that Henry Blodget likes the iPhone, but Henry Blodget does not think iPhone is perfect. After four days — four days! 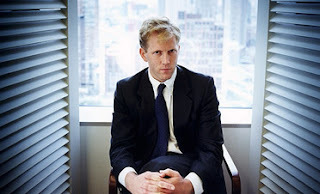 — Henry Blodget has not downloaded any apps or taken any photos of videos. Also, Henry Blodget has not downloaded his contacts. No word on whether Henry Blodget has put any music on his iPhone or what bands Henry Blodget likes, but we are looking forward to learning more about this, in excruciating detail, in a future post. Watching the first video clip on our site was close to a religious experience. Wow. I’ll say it again: Wow. Wow indeed, Henry Blodget. We know how Henry Blodget must feel. Everyone at Apple is still stunned that Henry Blodget never been in an Apple store before, but very happy that you have joined the cult. And we’re just waiting to see what Henry Blodget might discover next. Honestly, Henry Blodget, we hang on your every word. It’s so … insidery.